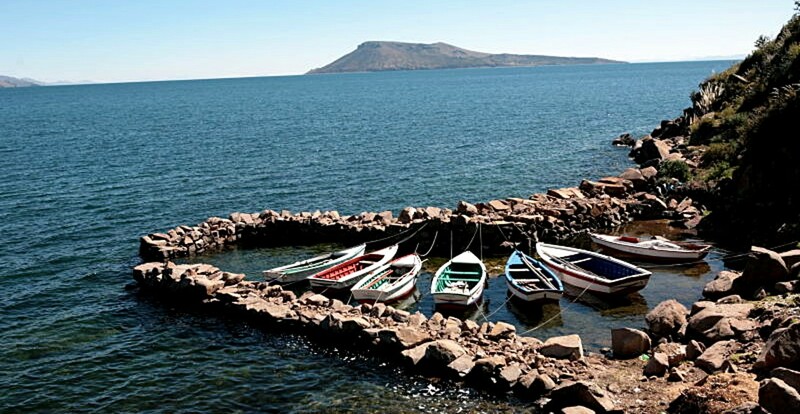 Puno-Uros Island-Taquile-Amantani; Lake Titicaca is one of the most breathtaking parts of Peru, though that may have something to do with the altitude. The azure blue waters of the lake paired with an even bluer sky are a sight to behold indeed. 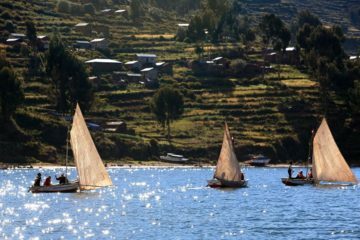 It is often called the highest navigable lake in the world, The region is one of the most culturally significant places in Peru. 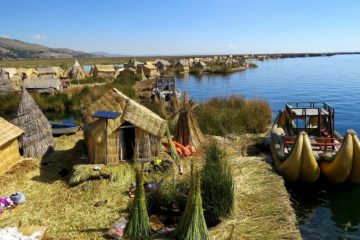 The Islas de Uros, made of floating totora islands, are a magical display of color and originality. 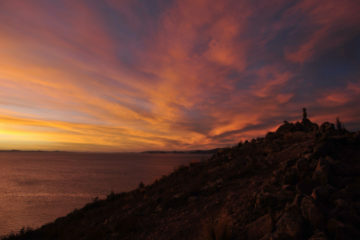 The lake is located at the northern end of the endorheic Altiplano basin high in the Andes on the border of Peru and Bolivia.The lake is composed of two nearly separate sub-basins connected by the Strait of Tiquina, which is 800 m (2,620 ft) across at the narrowest point. Return to Hotel for overnight in Puno.